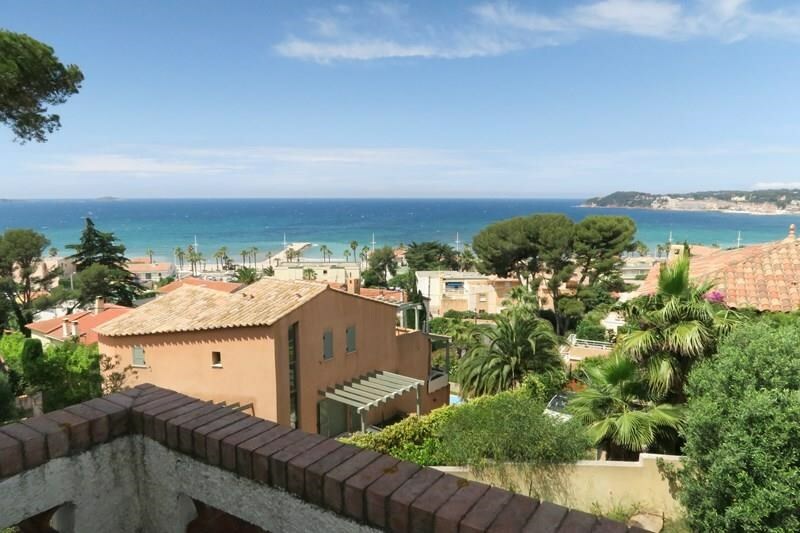 Superb location for this beautiful mansion with large volumes overlooking the bay of Sanary-Six Fours Les Plages, just 300 m from the big blue (beach of Bonnegrâce). WIFI internet access - Secure car park - Garage - Maximum 10 sleeps - 5 bedrooms - Pets accepted. On the 1st level : a big stay - dining room, a kitchen, 2 rooms, a room of water and an independent toilet. From the kitchen, access to the outside (large garden surrounding the property) and a large terrace (45 m2) sheltered from the mistral with fixed barbecue. 2nd level: 3 bedrooms, 2 bathrooms and a separate toilet. Note: the ground floor of the house is closed and unoccupied. Each of the 5 rooms has a balcony and all rooms have sea view ! Everything can be done on foot (sea, beach, shops). Great family vacation by the sea in perspective ! Rare to rent: it's up to you to enjoy ! !